Shaun Riedinger took most of the photos on this trip -- thanks for sharing Shaun! 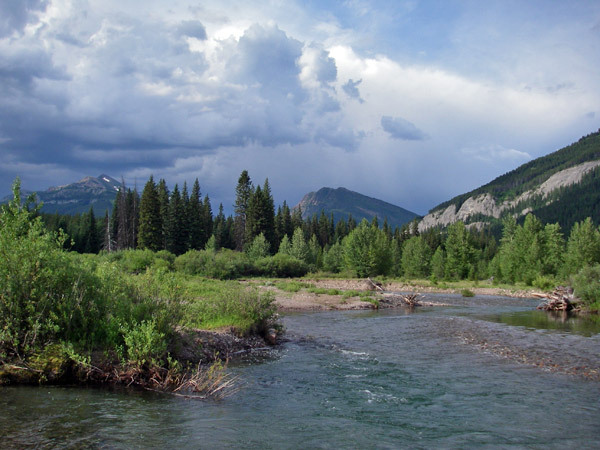 The Middle Fork Flathead in northwestern Montana is a little-visited wilderness river. 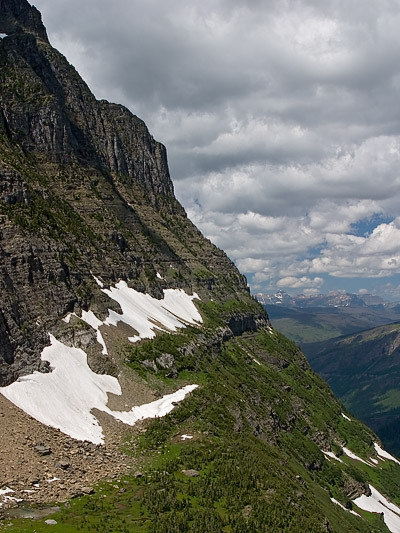 Dominated by commercial interests, this unpermitted run offers incredible wildlife, stunning alpine peaks, and excellent hiking. Nick Borelli, Shaun Riedinger and I made this trip over the July 4 week. 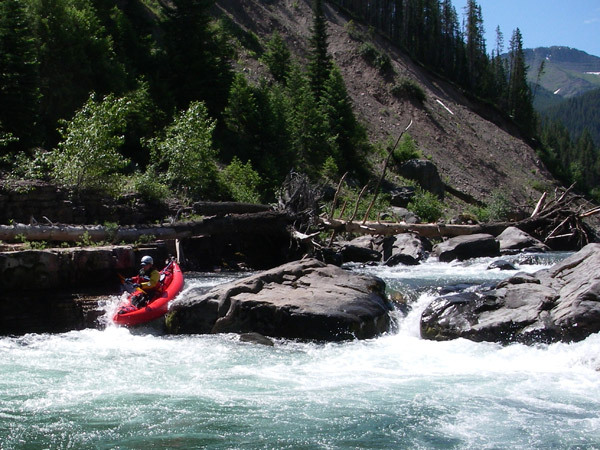 After a two-night stay at Wilderness Gateway and a low water Lochsa float, we rolled into Kalispell to sort out gear. 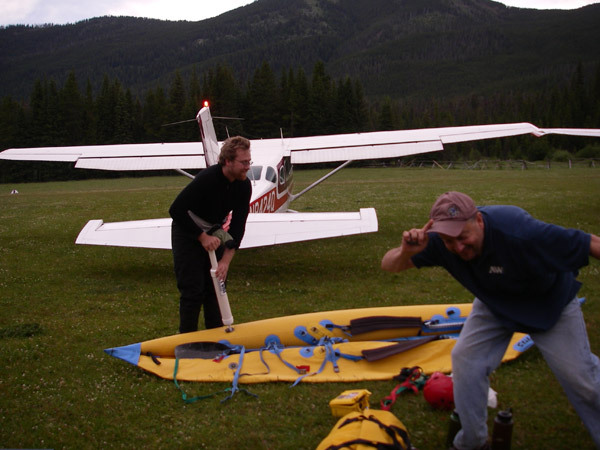 With cocktails mixed, food prepped, and headaches from the impromptu firewoks we met our bush pilots for the flight into Schaefer Meadows. 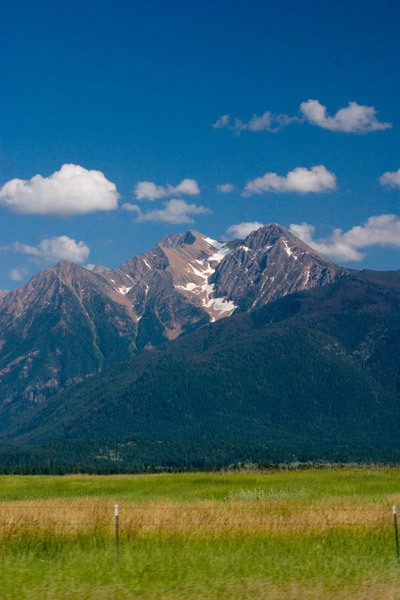 This is a half-hour flight from Kalispell over some incredible peaks and alpine lakes. 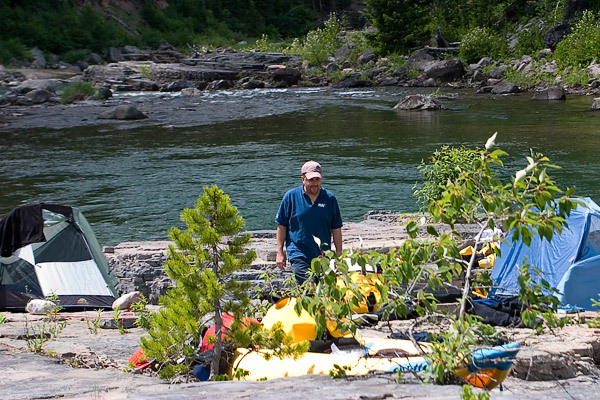 After hoofing our gear down the trail and assembling the boats, we were off. 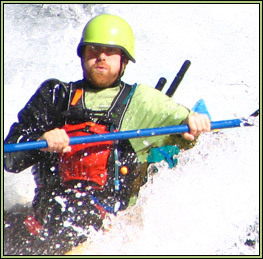 We launched with perhaps 300 cfs. Across the valley, a view into the South Fork Flathead drainage showed ominous skies and incredible echoes of thunder that followed us for more than an hour on the water. On the flight in, Shaun commented he had never seen moose. 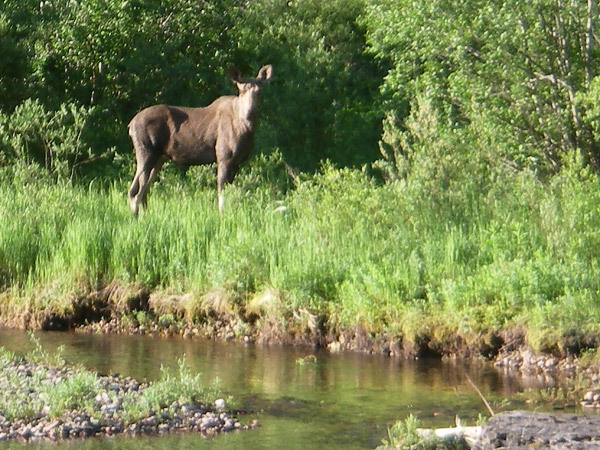 Within twenty minutes of launching we had a sighting as a curious moose watched us from the bank as we floated by. We had planned to camp in the neighborhood of Granite Creek, but we found a unique spot we couldn't resist. 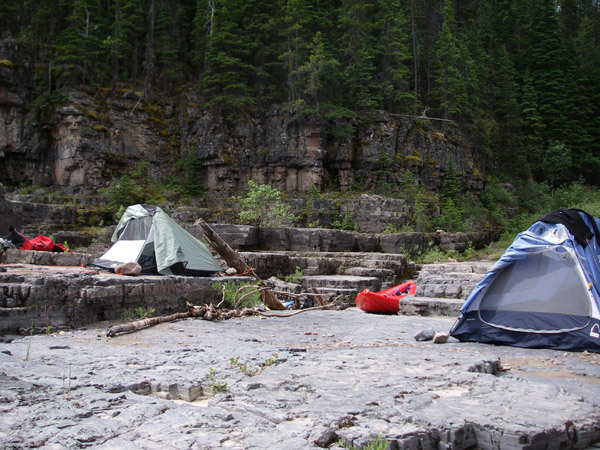 At a right bend, a bedrock island rose out of the water, terraced with flat areas and perfect tent sites, so we decdided we'd found our campsite. We spent a sunny afternoon swimming and exploring the surrounding area. The next morning, we had deer and another moose in camp. 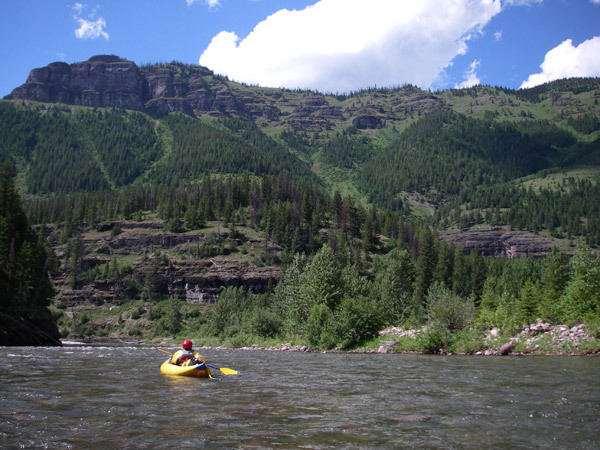 Once on the water, we moved downstream at a brisk pace. This is the upper canyon section, and wwe had a fun section of class II-III whitewater that gradually steepened into a boulder ledge along a headwall on the right. We found Morrison Creek, and, incorrectly thinking we were at Granite Creek, starting looking for our next camp site, Castle Creek. It took a little time, but we sorted out our mistake. The mile of river preceeding Castle Creek is stunning. 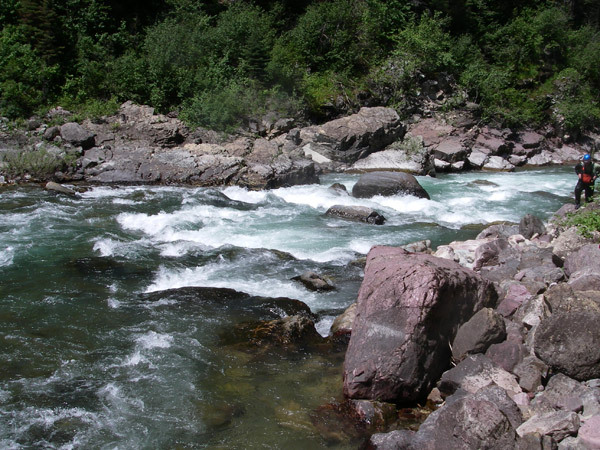 The river left bank is the backside of Trinity Mountain, and the hanging valleys were simply stunning grottos sculpted by ancient glaciers -- the scenic highlight of this river corridor. 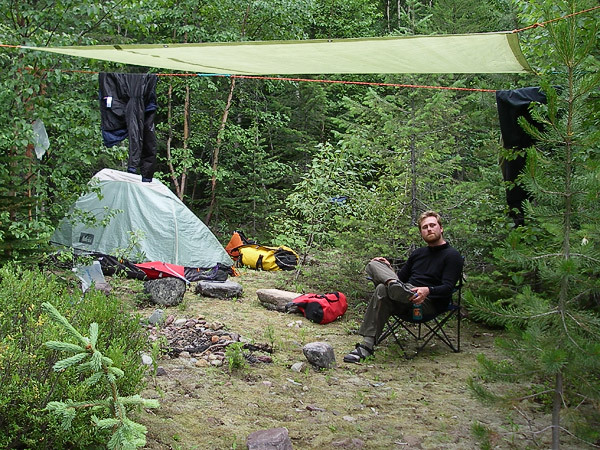 We passed a couple excellent campsites before reaching Granite Creek proper. We headed down to Castle and moved in. 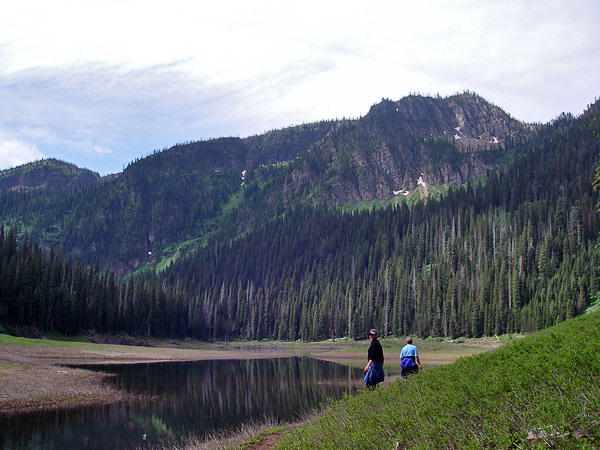 After a great evening in camp, we were up early and heading out for the hike to Castle Lake. 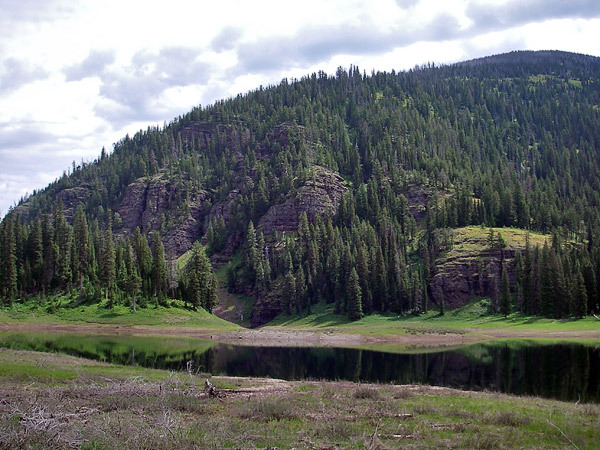 It was a straightforward traipse through the woods to reach Castle Lake, which looked to be much fuller than in past years. 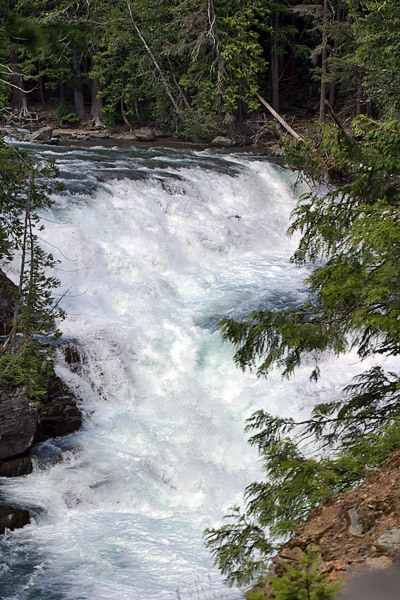 A tall cascade fed the lake from one end, with reputed bear territory at that end of the valley. There was no outflow, however, leading us to wonder about about the drainage to Castle Creek. 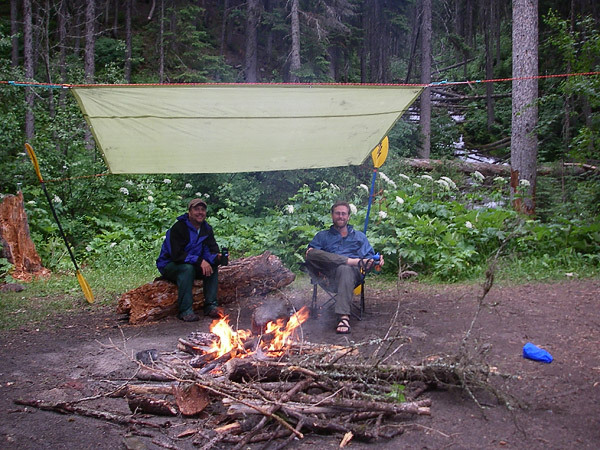 When we returned to camp, we found the Glacier guides ensconced. This was an unfortunate event and we had a commercial party of 12-14 in camp the rest of our stay at Castle Creek. The weather moved in fiercely that evening and we were glad to have the sheltered clearing near Castle Creek to avoid the worst of the wind and rain. There were some very close lightning strikes and scree slides on the opposite bank -- a great show. The next morning we were up and on the water well before the Glacier party. 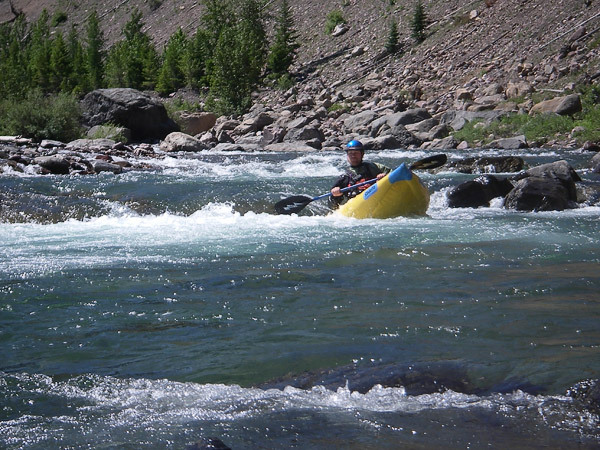 Just below Castle Creek, we found 25-mile rapid, and the class III just kept coming. There were some mini gorges that prompted brief scouts, but everything was straightforward and clean. 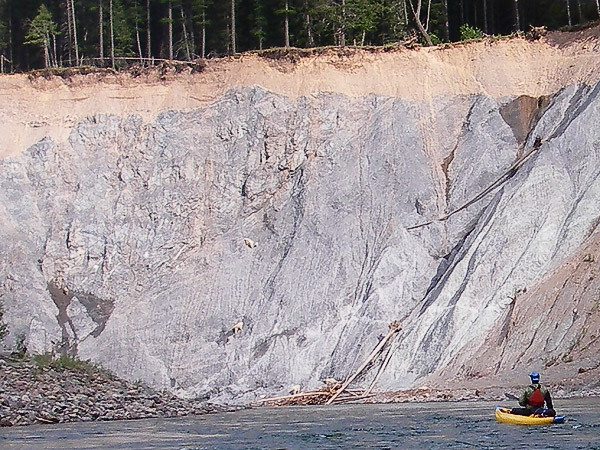 There were some huge boulders choking off the river that in high water would be utterly terrifying as the force of the river narrowed to boat-width chutes and right-angle turns. Wood deposited atop boulders 20 feet above the water stood testiment to high water years of the past. As we approached the Spruce Park area, the river flattened out and opened up. 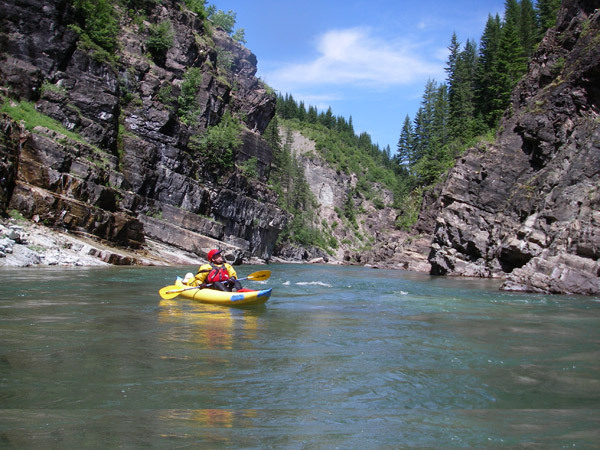 We were approaching the final and biggest canyon on the Flathead and were excited to see what it had in store for us. 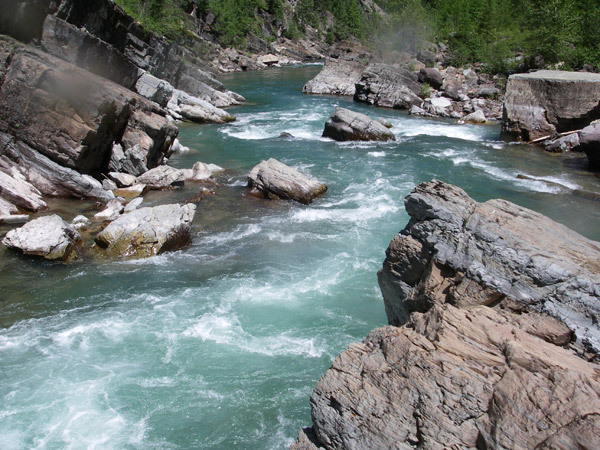 Once into the heart of the canyon, the rapids were straighforward, with three drops comprising the bulk of the whitewater in the canyon. 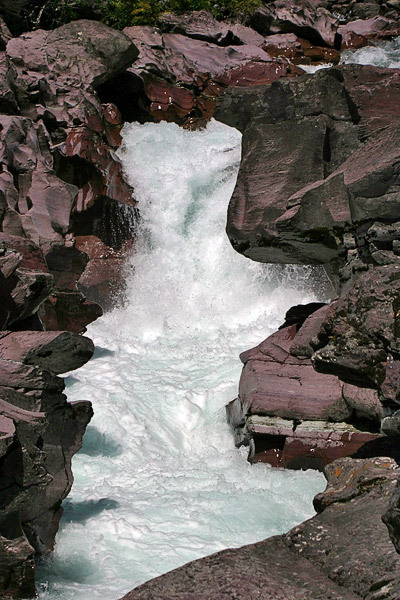 Between drops, the river pooled gently in translucent pools between bedrock walls of reddish-purple and gray. 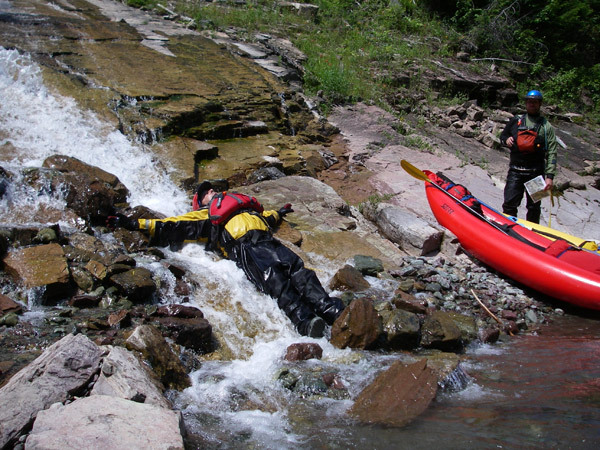 Waterfalls tumbled from the towering canyon rim, and we floated quietly between the walls. Below this canyon we found an acceptable campsite near Dirtyface Creek. We were only a mile or so from the road, so we enjoyed our final taste of wilderness as another evening rainstorm innundated us. The river continued to alternate between class II and moving flatwater as we approached the road. Shortly below the river access where the road first meets the river, we came upon the Goat Lick. We had been out so long we had completely forgotten about this attraction. 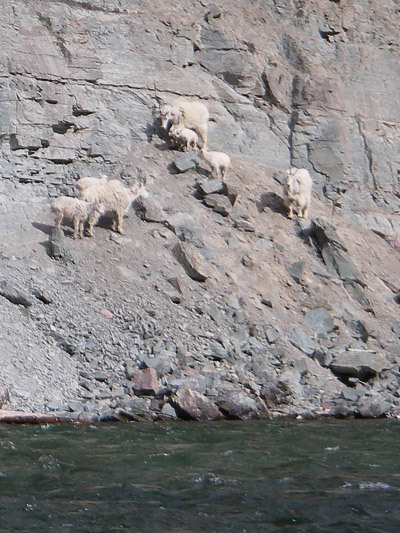 First we saw a 25-foot wall along river left with nearly two dozen mountain goats along its many trails. We eddied out to watch for some time before finally drifting downriver. 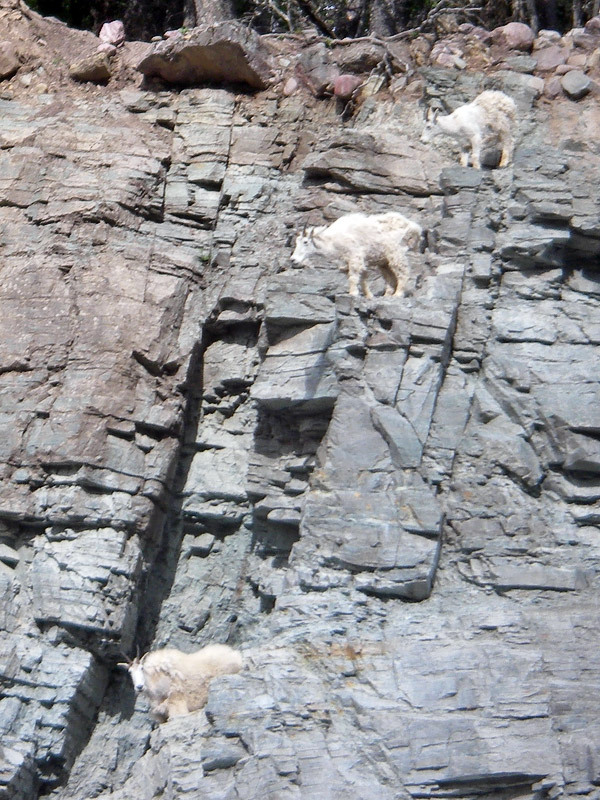 We shortly came upon an even more impressive sight as another dozen mountain goats worked impossiby steep and slick trails along a headwall. There were many kids on the wall, learning the basics as adults looked on nonchalantly. The awkward hopping and route-finding left us certain that one of the youngsters would soon tumble into the pool below the wall, but while there were a few slips, all kept their footing. It was an amzing sight. The last few miles passed quickly as we approached Essex. 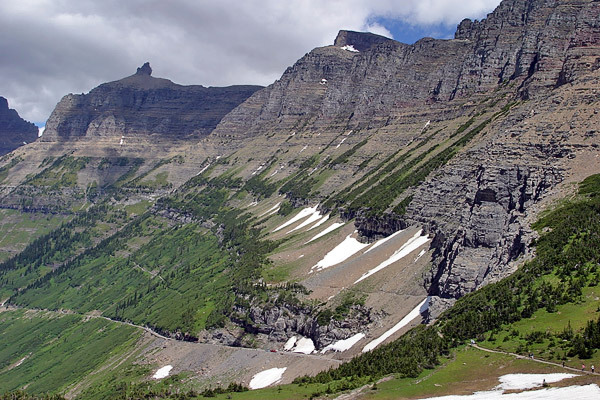 We had a quick takeout and made the drive up the Going to the Sun road in Glacier before heading west for Spokane. We had to stop and scout the drops on McDonald Creek on the way out. 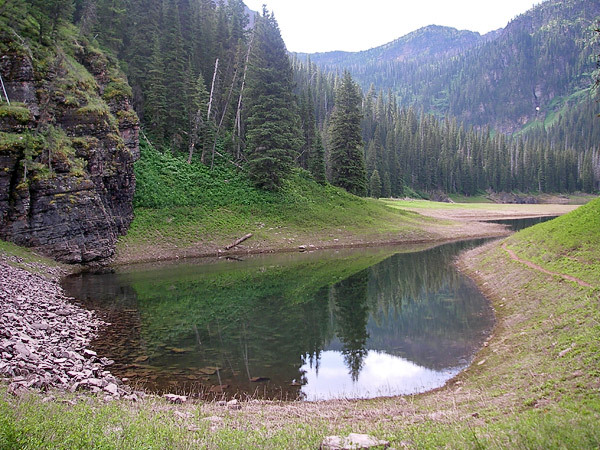 The Middle Fork Flathead is a unique and scenic trip -- it's well worth a visit. Pick your timing and water levels carefully and know your rights as a private boater. Thanks for the pictures Shaun!